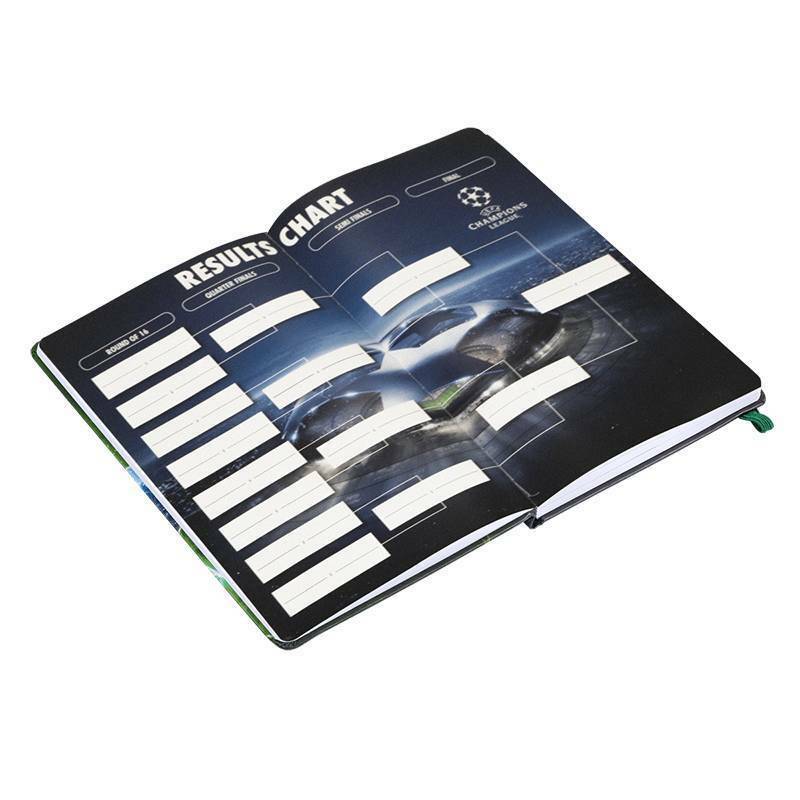 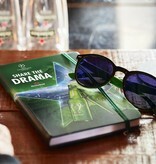 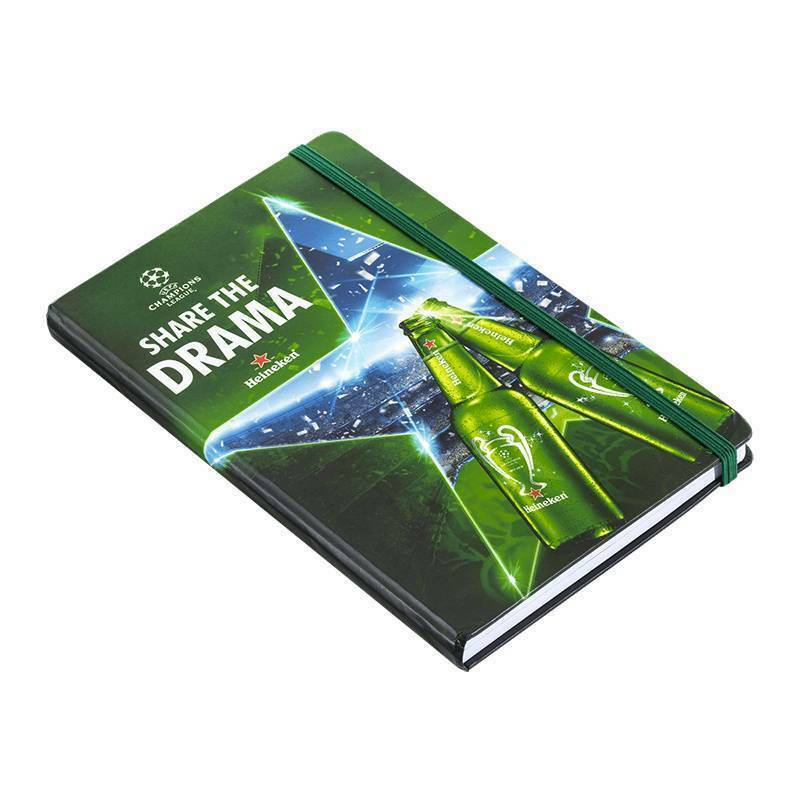 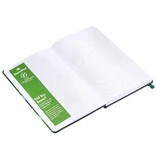 Heineken Champions League Notebook with elastic band. Cover: 1.5 mm cardboard and 157g paper. 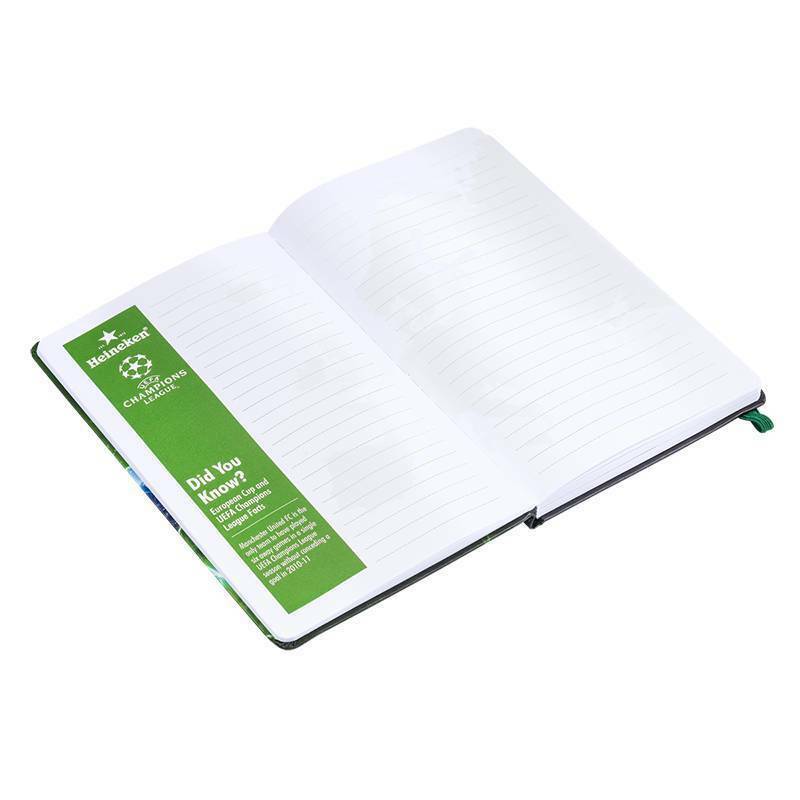 Inside paper: 80 sheets, 80 g paper. Heineken green with full color Champions League 2018 artwork on the outside cover.